Day 1: Drive to Mbale ; Travel time +4 hours. Day 3: Drive back to Kampala; Travel time + 4 hours. After having an early morning breakfast, you drive to Nyero rock painting for a rock climbing and later return to Mbale for lunch. After lunch, drive back to Kampala. End of the 3 Days 2 Nights Sipi Falls Uganda Safari. 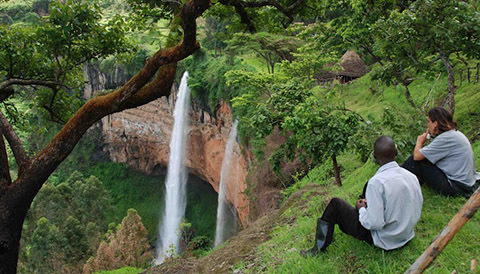 This 3 Days 2 Nights Sipi Falls Uganda Safari package includes. The 3 Days 2 Nights Sipi Falls Uganda Safari package excludes expenses of personal nature like: Air fare, Visa, drinks, laundry, tips to local guides, telephone, porter fee while trekking, personal insurance, personal shopping bills and cigars.